Just before Neil Aspin and Billy Heath lost their jobs there were still fans wanting them to stay and try turn things round. There hasn't been one fan come on here and defend today's tactics or result, and more importantly, Fullarton as a manager. Now I know that there are still plenty of fans that went to today's game and who post on here, that haven't commented on here yet today but despite that, I feel that the Shaymen fans opinion on Fullarton is a unanimous one and that opinion is for him to go with immediate effect. Time to let him go DB or you'll have just over 1000 at the next game. The main problem is managers like JF want to make a simple game into a science & at our level it really does need to be kept simple...…..simple. Less if the trains aren',t running Erik. Still buses though? It is a simple game at any level, was never a science, is not a science and never will be a science. Is that why I didn't attend today? I think it's got more to do with me being not well and in hospital. I was going to go today if I'd not been in but thank God I didn't because that's over £30 saved. If JF is still in charge next weekend I'm definitely not going. If I'm out of hospital by then and he's gone I'll probably go to the game. The ball is quite simply with Bosmworth now he is responsible for this club and it’s welfare end of. I have come on here and generally supported our manager, however after yesterday and Chesterfield the week before something has to change soon or Conference North looms and this time we won't come back. Having spoken to Jamie Fullerton a couple of times I quite like the guy but football management is not liking people its results. The board need to seriously look at the situation and for gods sake do something! 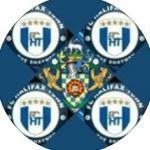 What is it about Halifax Town managers and not liking to play our talented players? Heath had (possibly had) Tomlinson he never seemed to play him. When did Aspin not pls Browny? Didn’t he struggle with injuries that year? Me; we’re not going to get relegated, even at our current average we’ll have at least 50 points at the end of the season. I agree it’s not good at the moment but getting shot of managers is a costly exercise. I suspect JF has had his Stalybridge moment, let’s see what happens now and review at the end of the season. There are far too many keyboard warriors on here that don’t support the club (they may have watched a few games many years ago) but try to speak for the majority. Yesterday wasn’t great but we’re not that far away from winning games. See you all at Maidstone. Jamie Fullarton is very decent bloke and some of the personal crap which he has received on here is well out of order ,Fans should be questioning the Chairman and the directors they have been given an easy ride bu our fans. No he deserves the **** he gets. We pay our money, it’s football & it’s a passionate game! Fans will say what they want. 2 wins in like 28 is ****ing terrible and why on earth DB has put up with him this long he is also to blame!!! And why are you not questioning the bloody Chairman he is the one letting the club slip down the League he is the one with the power to get rid would he employ someone in his own business if they were getting results like this no ,The Manager has had his chance end of its up to Bosmworth to get rid of him . Last point dead right, said before it’s bottomwirth who keeps getting these **** managers,and he gets away without any flack at all, he’s as guilty as anyone as to where this club is!!!! Bosomworth has had plenty of flak, where have you been? Certainly not on here. Yeh seen some, but no where near enough for what he gets away with, club no better 10 years in! You give him flak on regular basis sometimes a bit harsh ,But the majority treat him like some kind of God all these Managers have all failed .What is next Manager to the end of the season to hope keep us up ,If we are going to progress we need a decent Manager and he needs to be backed properly not half heartedly. I just don't believe you. In the extremely unlikely scenario that you're being serious, what would it take for you to accept it's time he left? I also don't want to see Town become a club that prematurely sacks managers, but we're way beyond premature here. It's not like he's struggling to bridge the gap between mid-table and the playoffs, but with the absolute basics like having no recognised striker on the field when your team hasn't scored in nearly two months!! It's simply not credible to believe he deserves more time. Can we tempt Kevin Wilkin? Can he bring the Brackley midfield with him?